ParaFed Canterbury was founded in 1967 and celebrated their 50th Anniversary in 2017. As part of their celebrations they took a look back over some of their key “Memories Through The Years”. Read below for some of the share stories from ParaFed Canterbury’s history, including our different office locations, international competitions that have been held in our region, members who have played a significant role in ParaFed Canterbury and many more fantastic memories. There are few more iconic names in New Zealand sport than Sophie Pascoe. ParaFed Canterbury is so proud to call her one of their own. 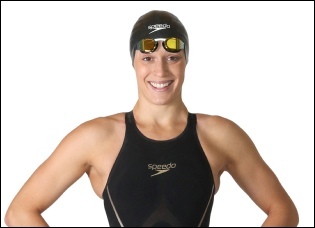 Since her Paralympic Games debut in Beijing 2008, Sophie has become the benchmark for all athletes to aspire to. Her success and attitude has raised the profile of Paralympic sport and inspired a new generation of Paralympians. In partnership with her long-time coach Roly Crichton, Sophie’s achievements have been a result of her total dedication and commitment to being the very best athlete in the world. She first joined ParaFed Canterbury in 2002 as a young athlete to begin her sporting journey. Over the past 16 years, she has represented ParaFed Canterbury at National Games, was a part of the Academy Programme, and has won many ParaFed Canterbury Sports Awards. Sophie is now New Zealand’s most successful Paralympian, winning 15 medals (9 gold, 6 silver), and is a multiple world champion and world record holder. Beyond her achievements in the pool, she is a mentor and role model to young athletes here in Canterbury and around New Zealand. As she builds towards the 2018 Commonwealth Games and the Tokyo 2020 Paralympic Games, ParaFed Canterbury wishes her the very best. We are proud to have supported Sophie through the years. Sport has always been the driving force of ParaFed Canterbury. The pinnacle for any athlete is the Paralympic Games. Through the years, ParaFed Canterbury has been one of the largest contributors of athletes, coaches, and support staff to the New Zealand Paralympic Games teams. The dedication and commitment from members to excel on the world stage has created not only role models for those starting their sporting journey, but a legacy of representation and achievement. ParaFed Canterbury has reached these heights across all aspects of sport, from athletes and coaches to support staff and officials. In addition, the Sydney 2000 Paralympic Games saw 50% of the New Zealand team from Canterbury. 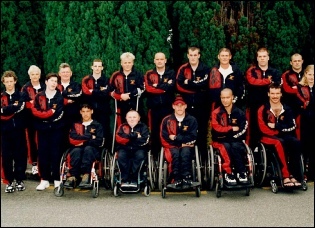 The Wheel Blacks team that won the gold medal at the Athens 2004 Paralympic Games featured 6 out of the 9 person squad from Canterbury. ParaFed Canterbury Operations Manager, Ken Sowden, has attended six Paralympic Games in various support staff and official roles. Not everyone will be a Paralympian or attend a Paralympic Games, but it is something to strive and aim for. There is no question that over the next 50 years ParaFed Canterbury will continue their proud record of being a leader in Para sport. The Canterbury region has a proud tradition of hosting major sporting events. Christchurch has hosted more International Para sports events than any other city in New Zealand. The Christchurch City Council, Paralympics New Zealand and International Sports Federations, with the assistance and expertise of ParaFed Canterbury, have been honoured to bring the following international competitions to Christchurch. 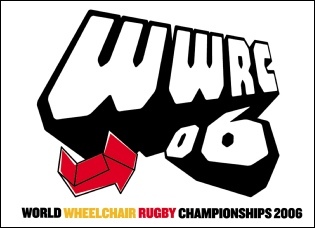 One of the major event highlights for ParaFed Canterbury was hosting the World Wheelchair Rugby Championships in 2006. The event was hosted entirely by ParaFed Canterbury and attended by the 12 best wheelchair rugby teams in the world. The final, which saw USA defeat New Zealand 34-30, was played in front of 5000 spectators and was broadcast on Sky TV. This was the first time that people paid to watch wheelchair rugby in this country. ParaFed Canterbury was proud that the event won the Sports Canterbury Award for the Best International Sporting Event for 2006. One of ParaFed Canterbury’s many strengths is their commitment for a platform and pathway for young people to achieve their goals. In 1994, the Halberg Trust (known today as the Halberg Disability Sport Foundation) initiated an after-schools sports programme for young children with disabilities throughout the country. 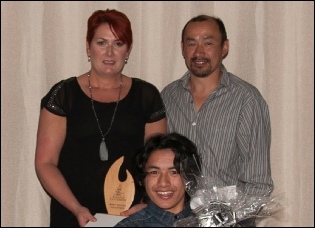 When the Halberg Trust ended the programme a few years later, ParaFed Canterbury took over the operation at a local level and rebranded it to the Junior Sports Club. The Junior Sports Club has run for the past 20+ years and provides members an opportunity to experience different sports and activities. In recent years, ParaFed Canterbury has added the Youth Club and the Selwyn Junior Sports to its range of very successful junior programmes. Canterbury Juniors have a proud history of success, with teams competing at events such as the CCS South Island Junior Sports (1990-2000), and the South Island Independence Games (2001-2014). 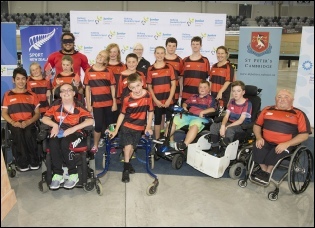 In 2015, the Halberg Disability Sport Foundation created the Junior Disability Games, a national three day sports tournament open to young athletes with a physical or visual impairment. This competition has become a key event on the calendar for ParaFed Canterbury and their junior athletes. It provides an opportunity for athletes to train and compete against those of similar ages and abilities from around the country. ParaFed Canterbury’s emphasis on weekly junior programmes and representative junior teams have ensured there is a pathway for young athletes and that the organisation continues to thrive. The juniors are the future of ParaFed Canterbury. The next 50 years will feature many of these amazing young people that got their start through these programmes. Volunteers have been the backbone of ParaFed Canterbury for the past 50 years. Incredibly dedicated people have given their time to enable thousands of members to participate in sports and recreation programmes. Over the years, volunteers have contributed across a range of different areas. The early volunteers set up and ran the committee. As ParaFed Canterbury started to grow, volunteers supported activities such as the after-schools programmes and youth camps. Today, nearly all of ParaFed Canterbury’s sports club are managed and coached by volunteers, who go above and beyond, working tirelessly behind the scenes. Businesses and educational groups have recognised the value in allowing their staff and students to get involved in community work. ParaFed Canterbury has been a beneficiary of this new approach. One of the key contributors has been Dynamic Controls, who has been volunteering at events and competitions for many years. Since 1995, ParaFed Canterbury has formally recognised volunteers through the Most Valued Volunteer Award, which is presented at the annual Awards Function. Many deserving volunteers have been recognised through this award, and so it would be impossible to formally thank each and every one who has given their time to support ParaFed Canterbury. People volunteer for different reason: to support family members, to give back to their sport, or simply to make a difference. Whatever the motivation, ParaFed Canterbury would not be where they are today without the support of the hard working volunteers. No history of ParaFed Canterbury would be complete without highlighting the life of Graham Condon who was for many years the face of ParaFed Canterbury. Born in 1949, Graham contracted polio as a child, but he never let this affect his passion and drive. 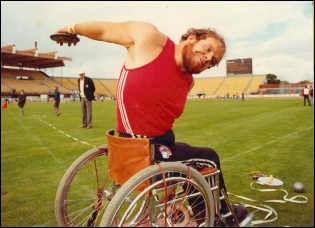 Graham was a six-time New Zealand Paralympian, multiple Paralympic medallist and world record holder. He was a founding member of ParaFed Canterbury and worked for over a decade for both ParaFed Canterbury and ParaFed New Zealand (known today as Paralympics New Zealand). He made a difference in the lives of many people with and without a disability. He influenced New Zealanders, and in particular Cantabrian’s, with his enthusiasm, no nonsense approach and commitment to improving the lives of everyone he came in contact with. Graham was awarded a Queen’s Service Medal in 1982 and a New Zealand Commemoration Medal in 1990. He was elected as a Christchurch City Councillor in 1995 and served four terms as a Councillor until his death in 2007. ParaFed Canterbury created the Graham Condon Scholarship in 2007 in memory of his outstanding services to the organisation. The Graham Condon Scholarship is awarded annually to an athlete who has not yet reached the highest level in their sport, but through outstanding commitment, attitude and ability, demonstrates the potential to achieve this in the future. 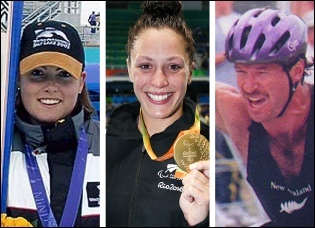 The first Graham Condon recipient was Sophie Pascoe and over the last 10 years, six of the ten recipients are now New Zealand Paralympians. From a group of volunteers holding monthly meetings in their living rooms, ParaFed Canterbury has grown into an organisation with five staff and offering a range of programmes around the region. In the early years, the committee shared their meetings between members’ living rooms and venues such as the Disabled Persons Centre on Worcester Street. 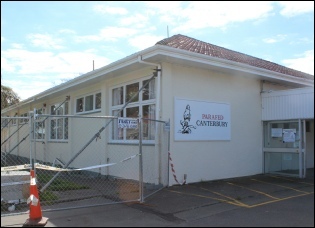 In 1989, ParaFed Canterbury moved to the Marshland Community Hall, which coincided with the appointment of their first paid staff member. The Community Hall included offices and a small weights gym where members could train. In the mid-1990’s, ParaFed Canterbury made the move to Burwood Hospital where their offices were located for almost 20 years. Burwood Hospital became the home of ParaFed Canterbury and was the location for many of its activities, including the arts programme, junior sports club, hydrotherapy pool, and training for their sports teams. Their time at Burwood Hospital is probably best remembered for the ParaFed Gym which had over 200 members, including able-bodied members. In a time when many public gyms had limited access for people with disabilities, the ParaFed Gym was ahead of its time by providing a fully accessible gym that could be used by everyone. Following damage suffered to the ParaFed Canterbury office building during the Christchurch Earthquakes, and the subsequent redevelopments to Burwood Hospital, ParaFed Canterbury was forced to vacate their offices and close the ParaFed Gym in 2012. For the past five years ParaFed Canterbury has been located at Melrose Kiwi Concept Chairs in Papanui. While their office space is smaller, their programmes continue to grow and they are now offering even more sports in locations across the region. The National Games were the major focus for ParaFed Associations from the late 1960’s through until the final event in 2011. The first event was held in Auckland in 1968 and was attended by 29 competitors. Numbers grew and during the mid 1990’s, when the event was in its prime, was attended by over 200 competitors each year. The National Games, which included a range of sports, was a breeding ground for new Para athletes and provided a unique opportunity for those involved at a social or development level to compete against New Zealand’s very best Paralympians. ParaFed Canterbury had a proud history at the National Games. Whether it was travelling away as a team, or hosting the event, it was always a highlight on the sporting calendar. Christchurch hosted the National Games on numerous occasions, including one of the biggest games ever in 1997. While athletes competed for medals and chased qualifying times for representative honours, it was the prestigious Inter-Regional Trophy that really brought out the regional pride. It wasn’t until 1983 that the Canterbury team first laid its hand on the trophy and the team went on to win the trophy on six occasions – 1983, 1997, 1999, 2001, 2003 and 2007. With the introduction of Para sport categories within able-bodied National Championships, the numbers attending the National Games slowly declined, and the final event was held in Hamilton in 2011. The origins of ParaFed Canterbury date back to the mid 1960’s when Fr. Leo Close, an Irish priest and Irish Paralympian, visited Christchurch to talk to a group of local disabled people about the opportunities of rehabilitation through sport. Inspired by the words of Fr. Leo Close, and following a few local sports days in the region, ParaFed Canterbury (known then as the Canterbury Paraplegic & Physically Disabled Association) was formed in 1967. The name ParaFed Canterbury was slowly introduced in the early 1990’s, to align with ParaFed New Zealand (known today as Paralympics New Zealand), and was officially changed to ParaFed Canterbury in 1997. For the first 25 years, the association was run by a dedicated group of local athletes and volunteers, who were involved in committee meetings, fundraising and organising regional and national games. 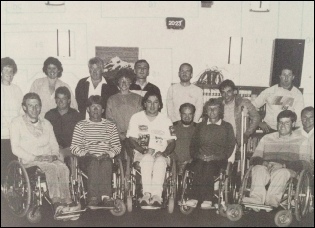 Now 50 years on, it is through the efforts of the founding members and volunteers in the early years, that ParaFed Canterbury has become one of the leading regional Para sports organisations in New Zealand.